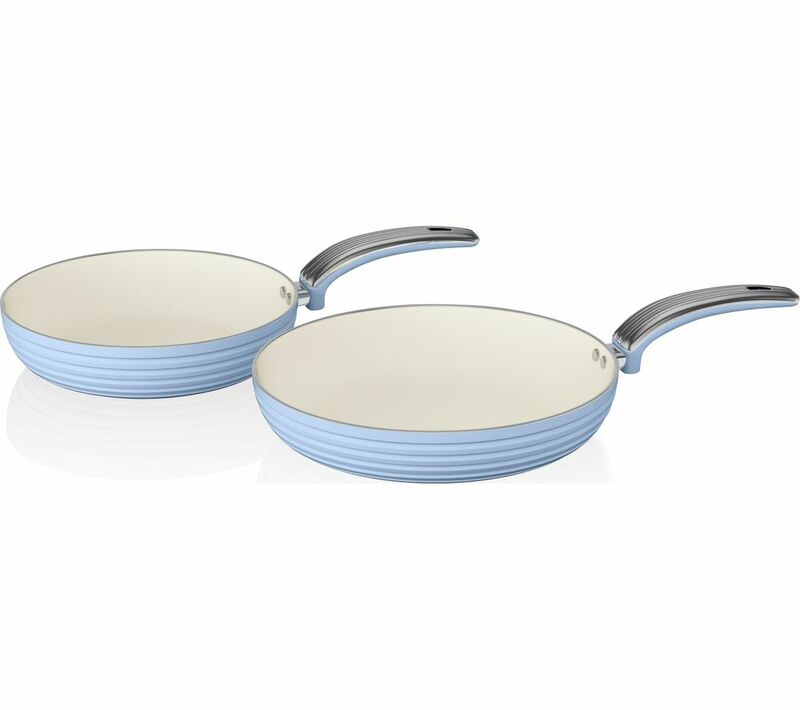 Your pans will look newer for longer thanks to the heat resistant colour coating. 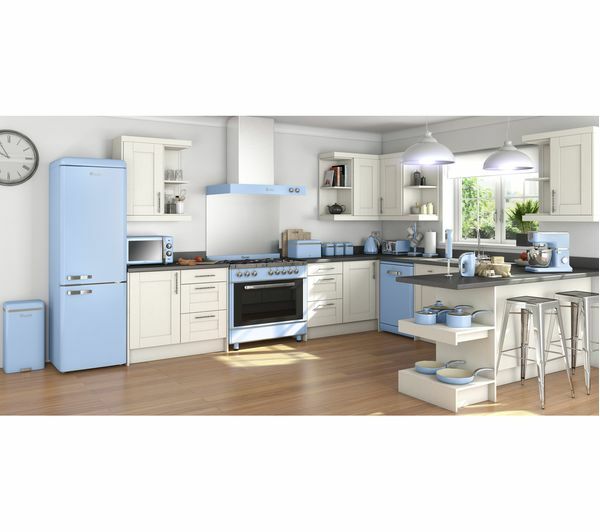 So no matter how hot your hob gets, the retro blue colour won't discolour over time. Keep a firm control of your cooking with the Bakelite soft touch handles, which stays cool even when your pan is searing hot. Whether you're frying meat or scrambling eggs, the non-stick ceramic lining inside the pan makes cleaning quick and hassle free – simply wipe away any mess with a damp cloth. 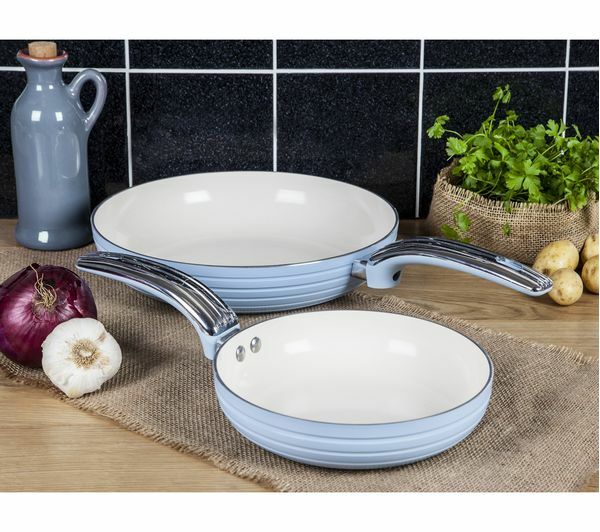 Plus, you can use this Swan Retro 2-piece Frying Non-stick Pan Set on all hob types including induction burners, for the ultimate convenience. This pan is large ! And looks beautiful I’m very happy !! Love the style and colour. Easy grip handles. Overall very pleased.